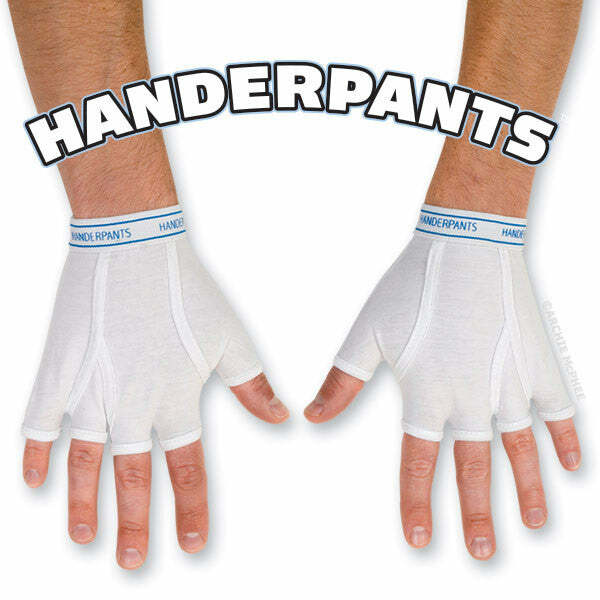 Underpants for your hands, and given where your hands have been, well… Click the image for more details! This entry was posted in 12 Days of Mountjoy, holidays. Bookmark the permalink. Clearly, to hide the hair growing in your palms. What? No Handerpanties? HandThongs? 4-ply crotchless edible Handerpanties pre-scented by slutty school girls? I’d be concerned about skids marks in those. Just think, Trump could wear the XS size! I now have crotchless chapped hands. I suppose you’ve heard about the guy with five penises. His pants fit him like a glove!